Would you love to have a manicure that's non-damaging, non-toxic, no harmful chemicals and vegan, without substituting for design? 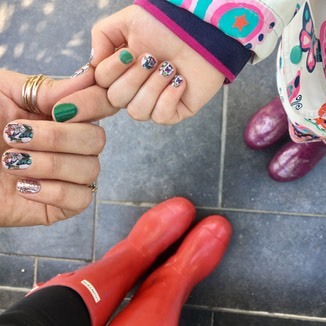 Jamberry with Laila offers free sample nail wraps for you to do at home, without the expensive salon price and no need for nail varnish drying time. However if you still enjoy being pampered Jamberry with Laila, provides a mobile nail service from �10 using Jamberry products , at home or any venue. Be different and try the beautiful nail wraps. 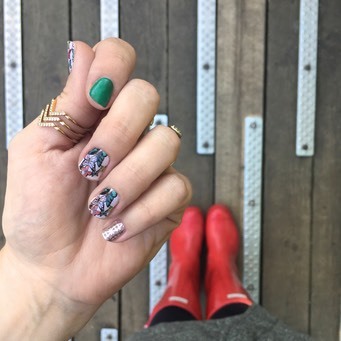 �Choose between Nail Wraps or Skinnies. • Can be used now or later, as the product does not dry out or fade in colour over time. Nail Wraps last up to two weeks and require heat such as your hair dryer. Skinnies are a short term on the go nail wrap that is on trend but no need for hair dryer or any type of lamp.